Nothing against skirts, but they're not something that I wear on a regular basis, as I find it a bit difficult to get the perfect flattering fit and length, and find a top that doesn't kill the vibe. Accordingly, I'm more of a denim or dress kind of girl lately, but the newest release from It girl–favorite brand Réalisation might've changed that. As you're aware, slip dresses are pretty much a wardrobe staple these days, but have you thought about slip skirts lately? Probably not, I'm guessing (because I haven't). But at the first glance of Réalisation's new Naomi Skirt, I suddenly had to have a slip skirt (specifically, this slip skirt). 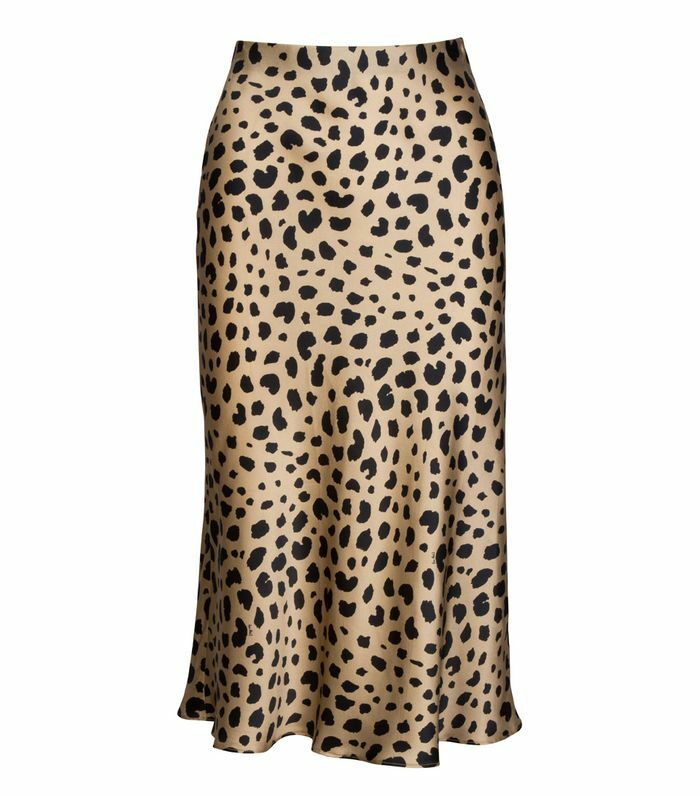 The subtle cheetah print is neutral enough to wear with graphic tees and bright colors alike, and perhaps the best part is that it features a hidden elastic waist (yes, you read correctly). The brand shared with us that the launch of the skirt has seen a great response thus far (so basically, you should get one before it inevitably sells out), and it plans on releasing more prints later this year. Shop the Réalisation Naomi Skirt below (I did) and a few other '90s-inspired silky slip skirts.